Effecting July 1, 2018, Kentucky has initiated new tax laws that will require Family Nurturing Center to charge sales tax on charitable event tickets, sponsorship and some professional services. We are making every effort to adhere to these new regulations in our interpretation by our agency’s tax consultants. These new laws will impact the pricing of our Blue Ribbon Bash ticket sales. The article below is from Nonprofit Quarterly. Taxes on Nonprofit Fundraisers? What Is Going On in the Bluegrass State? The landscape in Kentucky has just changed with the combination of a recent state supreme court ruling and a new tax bill that was passed by the legislature. On July 1, 2018, House Bill 487 went into effect, involving a change in the overall income tax and increasing the number of new services for which providers will be required to charge sales tax. This comes quickly on the heels of a State Supreme Court decision stating that nonprofit organizations are exempt only from property tax. As a result, there is uncertainty and some fear among nonprofits about the impact on such things as memberships and even receipts from fundraising events and silent auctions. The new tax bill was passed by the legislature in early April of this year. Although it was vetoed by Governor Bevins a few days later, the legislature overrode that veto and the law went into effect. Kentucky is one of only thirteen states that collects a local income tax, and according to the Urban Brookings Tax Policy Institute, it has the 12th-least progressive income tax structure in the US. Other conservative state lawmakers, such as Maine’s governor Paul LePage, have also proposed taxing nonprofits to make up state budget holes. The full ramifications of this major tax code overhaul won’t be apparent for some time, but one of the drivers was that new sources of revenue were needed for the state’s severely underfunded pension system. The income tax will move from a graduated system to a flat 5 percent. The corporate tax is also flattened to 5 percent, changing from a graduated rate ranging from 4 to 6 percent. A list of previously exempt services and products that now must charge 6 percent sales tax include campground rental, facility and event admission fees, and indoor tanning services (see here for a more comprehensive list). An increase in “sin” taxes, such as those on cigarettes. Some say these changes make Kentucky suddenly a lot more attractive to businesses through leveling the playing field and removing some antiquated systems. (Kentucky is said to move up from 33rd in the nation to 18th on Tax Foundation’s “business climate index.”) On the other hand, others argue the tax bill simply makes the majority of the state’s residents pay for a tax cut to the richest people and corporations. Previously, the income tax range had been from 2 percent to 6 percent, depending on annual earnings. In short, the highest-paid people in the state are going to see a decrease in the amount they have to pay in income tax. Just about everyone else will see an increase. Not long before the legislature passed this new tax bill, the State Supreme Court ruled that nonprofit exemption from revenue-generating taxes is limited in that state to property tax. According to one analysis of the decision, it relies on the interpretation of the law as exempting nonprofits only from laws pertaining to the ownership of property and not sales of products and services. So, what does this mean for nonprofits in the Bluegrass State? Confusion, by the sound of it. One report is headlined, “Nobody was expecting this.” Several nonprofits talked about being blindsided by the need to collect sales tax. For some, the impact is fairly clear, with the local YMCA having to charge 6 percent more for membership dues. For others, it is less clear; one nonprofit leader was unsure if sales during a silent auction at a fundraising event have to include sales tax. One legislator (Rep. Dan Bently, R-Russell) is quoted as arguing that nonprofits have nothing to fear, as the taxes are intended to be paid by the user, not by the nonprofit. 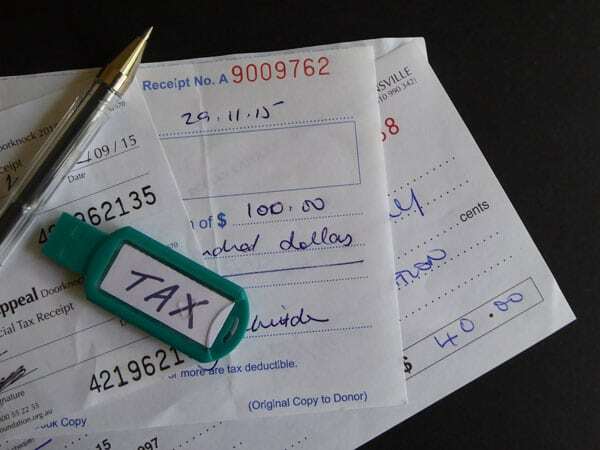 In reality, however, nonprofits seem to be asking themselves whether it would be better to add the new sales tax to the cost of an event or service or to maintain the current pricing and simply “eat” the tax. Adding to the cost could drive patrons away with higher costs or make it more difficult for people to access benefits like YMCA memberships, but not adding it represents a direct cut to the income received. A quick review of some of the nonprofits in the Bluegrass State suggest that this could be a difficult situation for them, simply from the point of view of how to devote person hours to this new requirement. The Independent Sector reports that the nonprofit sector in Kentucky generates $23.8 billion in revenue and employs 130,400 people at just over 17,000 nonprofits. Using statistics from the National Center for Charitable Statistics, we look at three counties to get a more detailed picture of the size of nonprofits. Jefferson County, based around Louisville, is the most populous county with 763,000 residents as of 2015. There were 1001 nonprofit organizations reporting income of some kind that year. Of these, 607 or 61 percent reported income less than $500,000. Boone County, located in the north of the state close to Cincinnati, is the 4th-largest county by population with 119,000 residents. Of the 73 nonprofits reporting income in 2015, 31 had receipts under $100,000 or 42 percent. Oldham County, just northeast of Jefferson County, is the wealthiest county in the state, by median population. It has a low level of nonprofit activity with only 43 reporting any income in 2015. Of these, 56 percent reported income of less than $100,000.